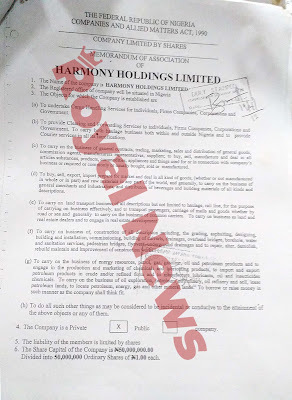 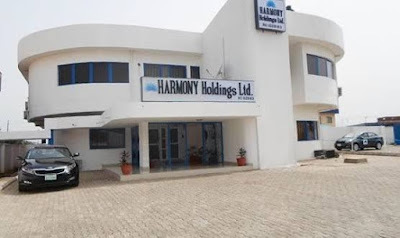 Information has revealed how the acclaimed Kwara State Government owned Harmony Holdings Limited was established. 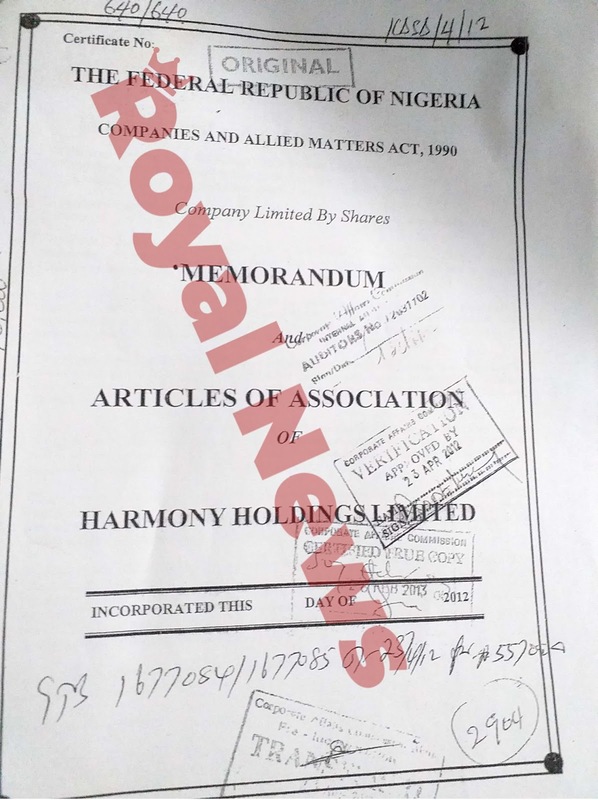 According to ROYAL NEWS various documents have revealed that the investment was registered on 3rd April 2012, with the Corporate Affairs Commission, (CAC)under the Company And Allied Matters Act1990. 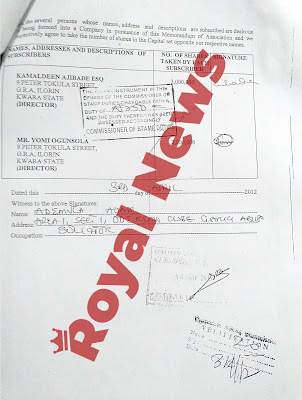 On the registration documents, the names of two individuals; Kamaldeen Ajibade ESQ and Mr. Yomi Ogunsola, both of No. 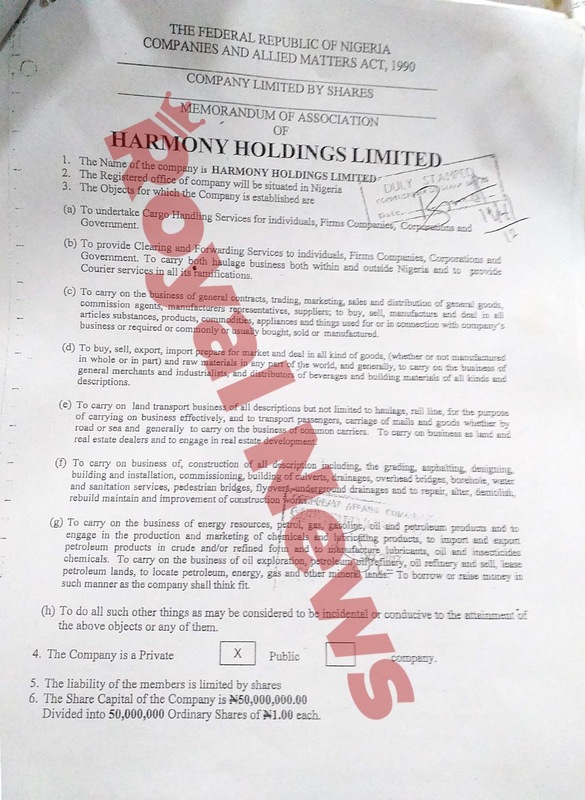 9 PeterTokula street, GRA, Ilorin appeared as Directors with share capital of N 3, 000, 000 and N 2, 000,000 respectively. What is the state state in the establishment?